We registered on another agent's website last week. He said he would represent us as a buyer's agent. We found your website and like that you work with a lot of new construction home buyers. Can we use you to help us purchase a home? Just because you registered on a website doesn't mean you are committed to that agent. That only occurs when you sign a Buyer's Representation Agreement. It's easy to see that buyers don't really have a good understanding of how real estate websites work. The National Association of REALTORS® reports that 92% of buyers begin their home search online. Portal websites: Zillow, Trulia, Homes.com, Movato.com, Realtor.com are examples of such sites. These companies are NOT brokerages. They don't even have real estate agents. They offer home listings to consumers and then sell consumer contact information to local agents. The agents who call you may not be the best agent to help you. They have bought your contact information. They may not have ever even sold a house in the area you're searching. Brokerage websites: The national brokerages such as Keller Williams, ReMax, Coldwell Banker and Century 21 are examples of brokerage sites. They have websites designed to provide you with listings all over the country, including your local area. They can also provide you with agents who work for their brokerages. The information these sites receive is directly from the multiple listing services (MLS). Therefore, they post all the home listings in the entire country, not just their listings. You don't need to register on each brokerage site, they will provide you with all the home listings in your area. Agent websites: It's become more important than ever for real estate agents to brand themselves. As a result, the best agents will have their own website. These agents work for a brokerage but want to promote their services to consumers. They provide websites as a lead capture tool. They have access to every listing in their local MLS. When you see hundreds of listings on their site, don't think it's because all those listings are theirs. 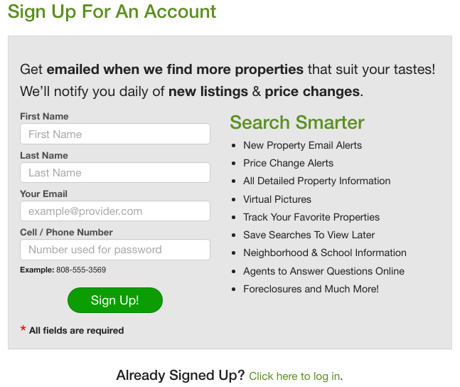 You don't have to register on 30 different agent websites to get all the listings. Each agent site carries every listing in their local MLS. The sites consumers most often refer to in the beginning of a home search are portal websites such as Zillow, Trulia, or Realtor.com, which we call ZTR. Consumers quickly realize that not all the home listings for their area can be found on these sites. Additionally, not all the information provided is correct. Portal websites don't get their listings directly from the MLS. They go through another provider who pulls from a multitude of sources, therefore, the data isn't always accurate. In Tennessee, brokerages choose whether they want their listings on these portal sites. If they elect to NOT show them, then the agents must manually enter the data and photos. Many agents won't take the time to do this. Plus, the search capabilities are limited on portal sites. You can't search by neighborhood or subdivision, for example. After consumers realize their search capabilities are limited on these portal sites, they may advance to a brokerage site. There are two types of brokerage sites; large national brokerages like Keller Williams, ReMax, Weichert, Century 21, etc. and small local independent brokerages. Franklin Homes Realty LLC is an example of an independent brokerage. While the national brokerage websites provide you with every listing in the country, they lack the local character and information most buyers desire. They quickly realize that they'll need to find a website that provides not only listings but local information. It may take several searches for consumers to finally find a website that has everything they want. When they do, they will probably have found an agent website. These sites provide great local information and all the home listings available in that area. Our website, wwwFranklinTNHomesforSaleOnline.com, is both a brokerage and an agent website. We are a small independent brokerage that is owned by the husband and wife team, Tom and Tammie White. There are no other agents in our brokerage so you get the best of both worlds when using our site. It provides local information, easy search capabilities and searches already performed by city, neighborhood, price, number of bedrooms, type and new construction. We should add that Tennessee, requires real estate agents to display their brokerage name and phone number on their agent website. This can often be confusing to consumers. They see a big KW or the ReMax balloon on a website and they immediately think they are on a brokerage site. Don't make this mistake. Know the state requirements. In addition, just because these sites have a recognizable logo from a national brokerage doesn't mean this agent owns that brokerage. How Did that Agent Get My Contact Information? Let's say you're at the beginning of your home search. You've visited one or more portal websites. You've given them your contact info so listings will be sent to you. And then it happens--you start getting phone calls from dozens of agents in your search area who bought your contact information. You talk to a few or just disregard their calls and emails entirely. When you didn't find the homes you were looking for on the portal sites, you advanced to brokerage or agent websites. Because you didn't realize that all the listings can be found on every site, you registered on 30 or 40 of these websites; thinking you were only viewing the agent's listings. When you registered, you provided all your contact information. Once again, you're getting all kinds of phone calls and emails from these agents. You're frustrated. You don't know how to use these sites to help you in your search for homes. We're here to give you a quick lesson on how to use real estate websites to search for homes. Google the area you're looking to buy or sell. If you are buying a home, Google "(blank) homes for sale". If you are selling a home, Google "selling my (blank) home". You would fill in the blank with the name of the city, county or maybe even the neighborhood or subdivision. Be sure to use the state. Franklin is a popular city name so if you Google "Franklin homes for sale", you may get results for Franklin, OH, Franklin, KY, Franklin, MA, etc. You get the picture. We would also suggest you either clear your search history or search using a "new incognito window". Google tracks your search history. It will automatically pull up sites you've visited before. To get the most accurate search results, using a different search browser or clearing your search history helps. You can also use Startpage.com. This site doesn't track your search history and provides an accurate search. Your search page will contain two sets of results: paid ads and organic results. The paid ads at the top and bottom on the page have a little yellow box with the word "Ad" in it. These are obviously ads that have been purchased by real estate agents directing you to their websites. These aren't necessarily bad but you should know that they purchased this spot on Google. Below the paid ads, you will get ten organic results. Organic results are not paid ads. These spots have been earned. How does one earn these spots? Google uses a complicated algorithm, unknown to its users. They look for the websites they believe will provide the best answer to your query. You will always find ZTR at the top of these lists. One of the reasons is because Google uses a website's activity in their algorithm. These websites get millions of clicks a day. It keeps them at the top of the organic search engine results. However, if you search by a neighborhood/subdivision name, you'll find that these sites drop in the rankings. The first four or five organic results will probably be portal sites. The next five or six spots usually consist of a combination of brokerage and portal sites. Rarely will you find an agent's website for a term like "Franklin TN homes for sale". The competition is too fierce. There's just too many big brand companies vying for those spots. If you do find an agent site ranking here, you can trust they really know their stuff. Don't hesitate to connect with one of these agents. Below is a screen shot for the search query "Franklin TN homes for sale". These are the organic search results only. Unfortunately, we don't have the ability to provide a shot of the entire page. As stated above, you'll see the portal sites in spots one through four. For results five and six, you'll find www.FranklinTNHomesforSaleOnline.com. That is our website. Unbelievably, we rank in two spots on page one of Google. 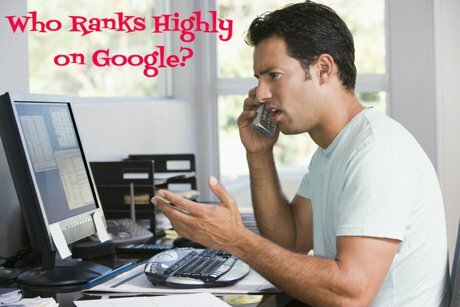 Remember, Google ranks those sites they believe to be an authority for the search query. Below that is another local brokerage, a national brokerage and two portal sites. How Do I Determine the Best Website to Register? You've conducted your Google search. Portal sites aren't the best option. By-pass these sites and go directly to agent sites. You may only find one or two. If the entire page consists of portal website results, make your search more specific. Use a neighborhood or subdivision name or use something like "Franklin TN homes zoned for Franklin High School". Using a search term that is more specific will provide you with better search results. You begin to search the sites to see which one best meets your needs. We caution you from registering on multiple sites. Instead, peruse each site to see which one provides you with the best information. Most of the time, you won't be required to register until you want to view a property. The best real estate websites will provide you with a variety of ways to find homes; by price, location (city, county, neighborhood/subdivision), type (single-family, condos, townhomes, land), age (existing vs. new construction), schools, features (bedrooms, baths, basements, with pools, etc), and style (colonial, cape cod, one-level). They will also provide information about buying and selling a home. Additionally, agents should provide you with information about the area and neighborhoods. If you're interested in selling, they should provide you with information about the selling process. That page should include client testimonials and a list of recently sold homes. If you're buying, you also want to be able to find information about buyer's representation with a list of homes recently sold. There are two types of pages on a website, static pages and blog pages. Static pages contain information that is constant such as neighborhood pages, about pages, buying and selling pages. Blog pages are usually time-sensitive. You'll find market reports, local events, open house postings, etc. on these pages. This article is an example of a blog post. The information is good today, but it may not be ten years from now. The best real estate websites will provide both static and blog pages and provide completed searches with homes. Once you've reviewed the options, then register on the site that is easy to navigate and has provided you with lots of information about the market you're searching in. For example, our website is a great resource for Franklin TN real estate but it's not the best website for Nashville. You can find all the Nashville listings but you won't find the neighborhood pages or Nashville searches already completed. You should Google, "Nashville TN homes for sale" to find those. Once you've found the best website to use, go ahead and register. Remember you don't need to register on multiple websites. You should be able to find everything you need on one site. I've Registered. Now What Happens? When you registered, you should have completed a search. That search will automatically send you new listings as they come on the market daily. When you see a listing you want to view, just send a request through the website. Remember, these new listings will be for your entire search area, not just the agent's listings. There's no reason to get these listings from multiple sources. Hopefully, you'll find that the agent providing you with the best information and daily listings is the best agent for you. Reach out to him/her when you're ready to buy or view a property. I'm Already Working with an Agent. Which Site Should I Use? If you already have an agent, don't register on another agent's site. 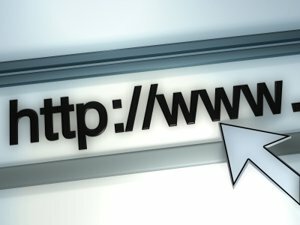 Use your agent's website. Many buyers register on our site because the information they desire either isn't available on their agent's site or their agent doesn't have a website. Your agent is getting paid to help you find a house. It's their responsibility to not only educate you about the process, but also educate you about the area. If you are new to the area, it's their job to show you neighborhoods that meet your criteria. If you find the only way to learn about the area is by using our website, then you've probably hired the wrong agent. If your agent doesn't have a website that can send you new listings daily, then you may miss out on a great opportunity. Franklin is in a hot seller's market. Homes are selling within days of hitting the market, you need an agent who is going to keep you updated on new listings daily and help you discover the areas in town that best meet your needs. If your agent isn't doing these two things, it may be time to find another agent. Searching for a new home is an exciting time. The internet can be a wonderful tool when searching for homes to buy. It can also provide you with information to help you choose the best agent to represent you in the sale of your home. Do your homework. Don't just register on every real estate website out there. Choose one site and then give that agent the opportunity to represent you for a purchase or sale. The majority of our business comes from internet searches. 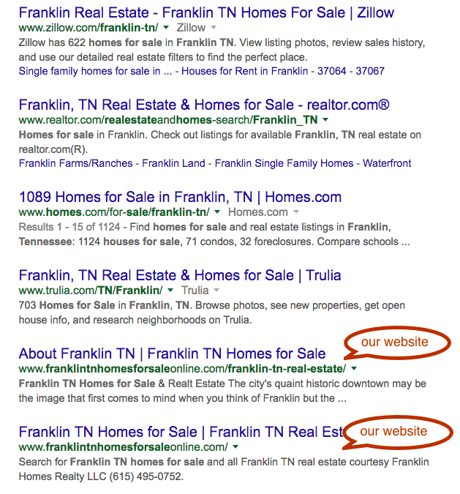 Google recognizes www.FranklinTNHomesforSaleOnline.com as an authority on Franklin TN real estate and the surrounding area. We would be happy to meet with you to discuss the purchase of a new home or the sale of your existing home. Share this post with your friends so they understand how to use real estate websites to search for homes. For more information, call Franklin Homes Realty LLC at (615) 495-0752. Tammie White is a REALTOR® and Principal Broker/Owner of Franklin Homes Realty LLC in Franklin TN. Tammie works with relocation buyers looking to purchase a home in Franklin and the surrounding Williamson County area. She understands the way buyers search for homes making her an invaluable asset to Franklin home sellers. Tammie's website, www.FranklinHomesRealty.com, has become the premiere search tool for buyers relocating to Franklin TN. She has been writing a real estate blog since 2009 and quoted in various publications including the LA Times, Skype.com, The Tennessean and Williamson Source.